With the advancement of technology, GPS has changed the way we move. With routing available in the smart-phone, map act as on the go facility wherever we go. And because of this reason, companies are making use of beacons to alter indoor navigation. For instance, You are in the large intercity train station and there are high chances to miss the train. Having never been to this place before, you are not able to communicate properly. You try to read a map, but it is hard to know which direction goes where. How would you come up with the fastest direction? Here Beacons comes into the scenario that communicates with your smart phones. It helps in way finding within buildings, making it easy for the users. In such scenario, if the station has Beacon infrastructure installed, a mislaid person need to just activate the app. Beacons would guide the lost person by locating the exact place where the user is standing. Bluetooth is the best option for indoor positioning and indoor navigation since GPS is not feasible. Bluetooth beacons communicate one-way, i.e. they can transmit signals but can’t receive them. Also they are scalable and highly portable. For Beacons, smart phones acts as receivers. As beacons are used for proximity detection, it has no security risk in transmission. Being cheap, it runs on the button cells and has the range of 30 meters indoors. The benefits of indoor navigation are enormous and varied. Firstly, it improves customer experience, as it helps customers refrain from wandering in huge malls or large spaces. Moreover, better way-finding increases the competence of both employees and businesses. 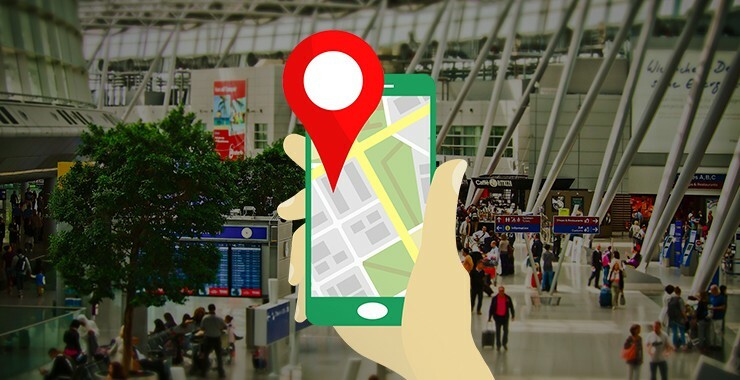 By giving employees indoor navigation abilities, they can know the shortest and the fastest route from their current location. On a brighter note, there will be no more guess work and much more efficiency. Theft Protection: BLE beacons can be attached to valuable or expensive objects. When a beacon shows movement from a definite region (geofencing), an alarm is triggered or security receives a notification. Evacuation: Employees and visitors in large buildings can be given a beacon in a ID card format. During emergency, you can find out number and position of the people still in building. Inventory Management: Every product to be tracked can be attached with a tiny beacon sticker. The status of your product can be viewed in web interface at any time. How is Beacon Way Finding System Constructed? Point based – Beacon is integrated at certain place like exhibition, museum etc. Grid-Based – Beacons covers the entire space and creates a grid that can recognize the actual position of users. In indoor positioning, beacons are spread all over area, allowing the app to understand the user’s location anywhere on the premise which helps in generating data and sending push notifications. It actually works depending on algorithms and combination of technologies. It even provides the businesses with a great opportunity to seamlessly integrate with existing and new mobility applications.